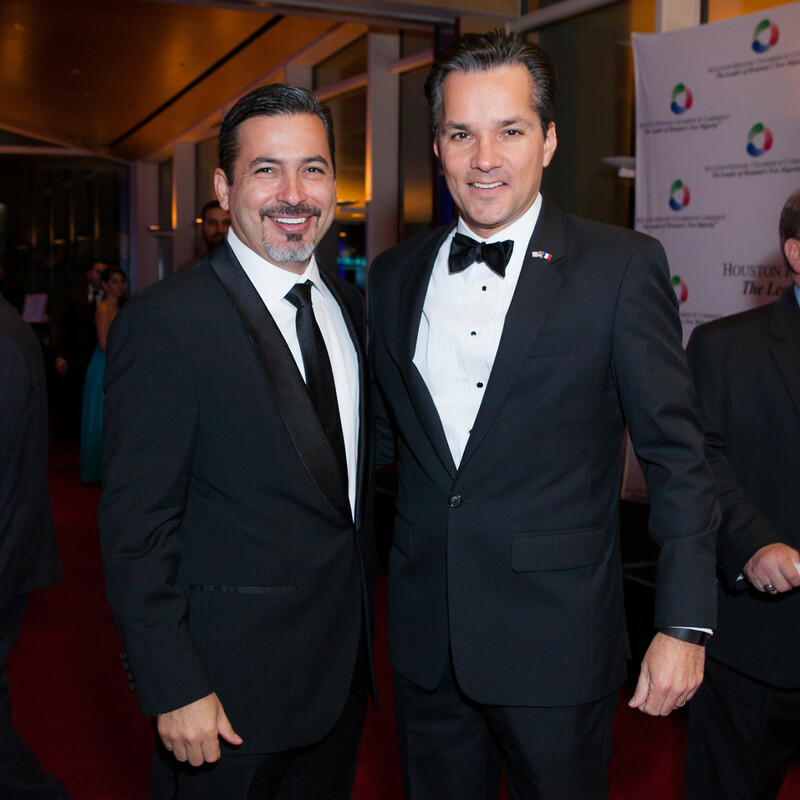 The Hispanic business community was up in lights at the Hobby Center where the Houston Hispanic Chamber of Commerce honored an impressive coterie of entrepreneurs, corporate executives and businesses which have had a positive effect across the city. 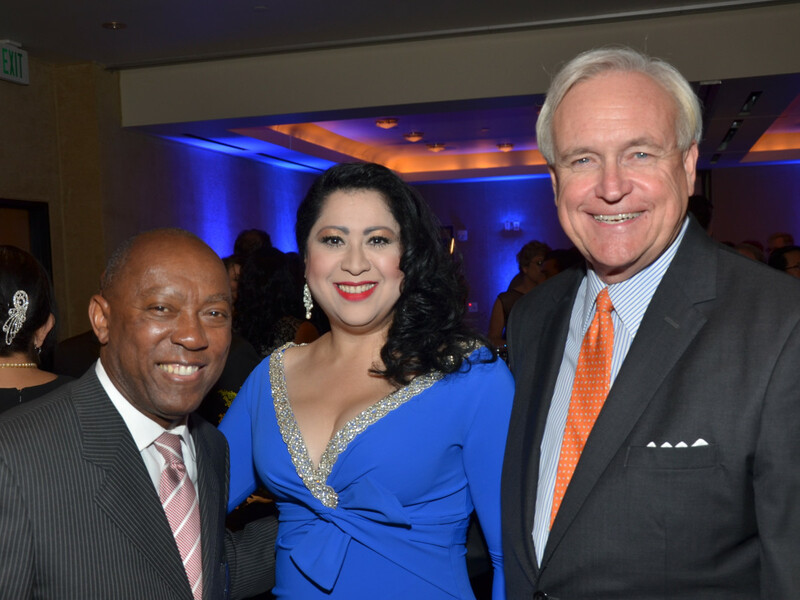 "The annual awards present an opportunity to recognize and celebrate Hispanic leaders and their many accomplishments," noted Laura Murillo, president and CEO of the non-profit. 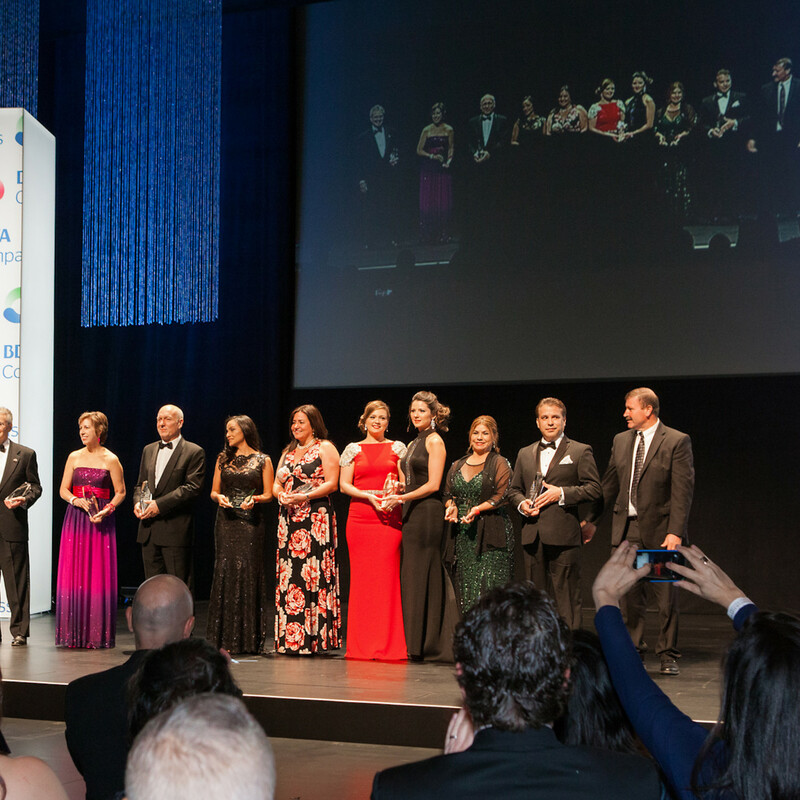 Three individuals, each from a distinct business arena, received top honors. 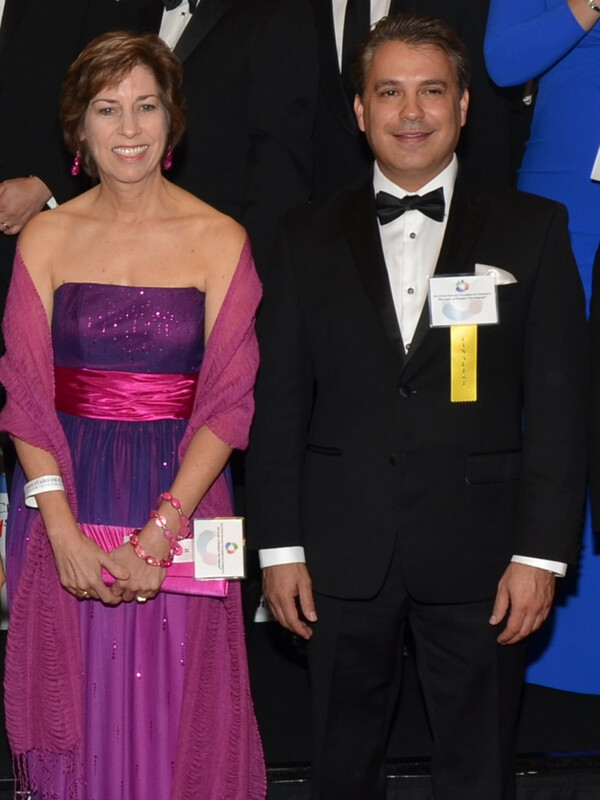 Dr. Ron DePinho, M.D. 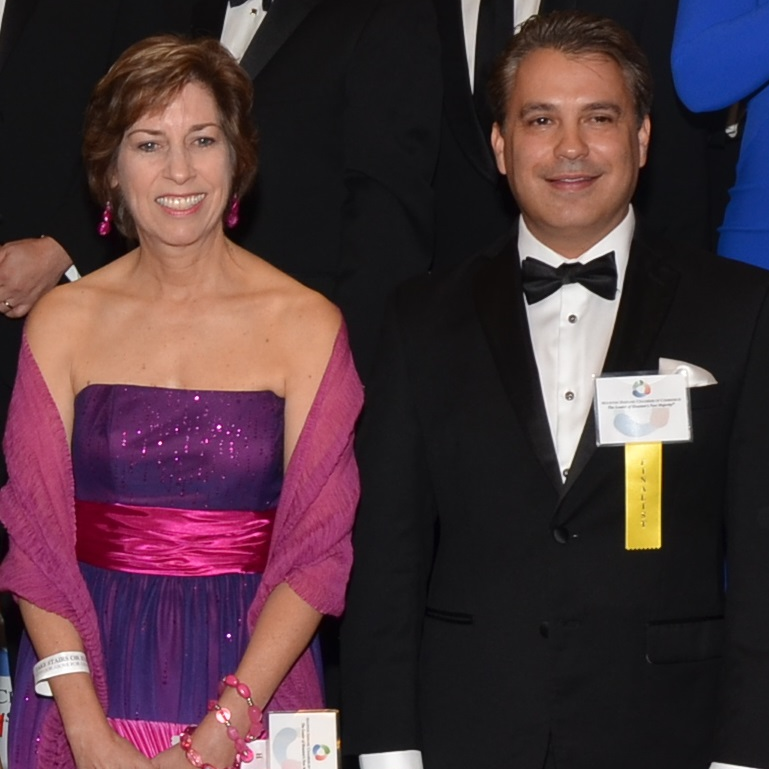 Anderson president, received the Chairman/President & CEO Award while veteran astronaut and 11th director of the Johnson Space Center Ellen Ochoa was recognized as Hispanic Female Executive of the Year. 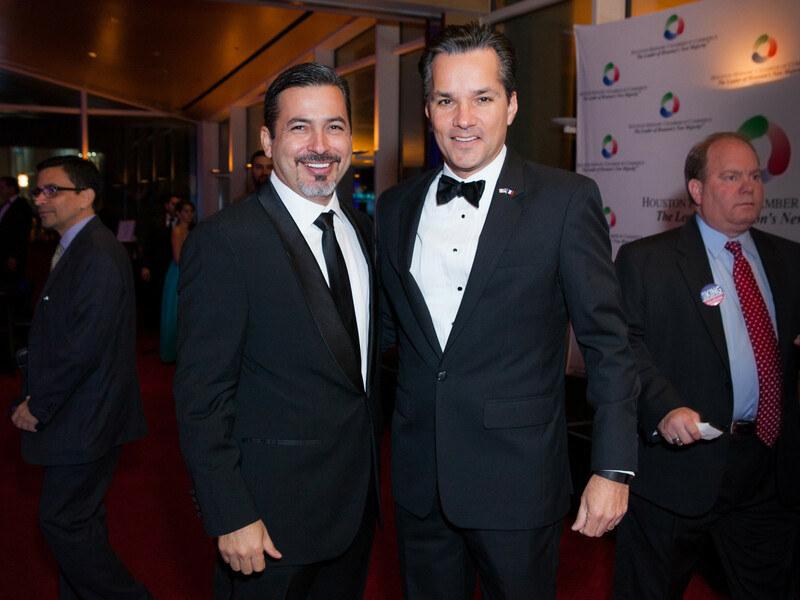 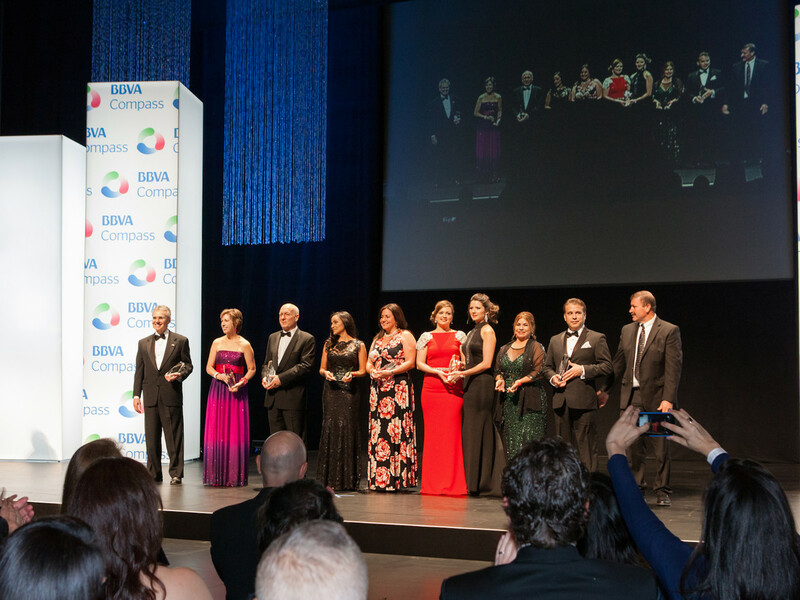 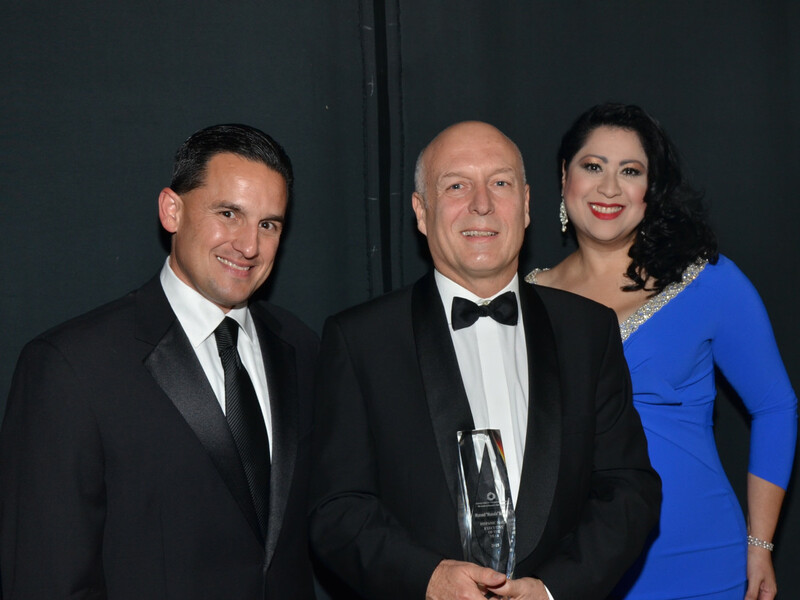 Manuel "Manolo" Sanchez, BBVA Compass CEO, was honored as Hispanic Male Executive of the Year. 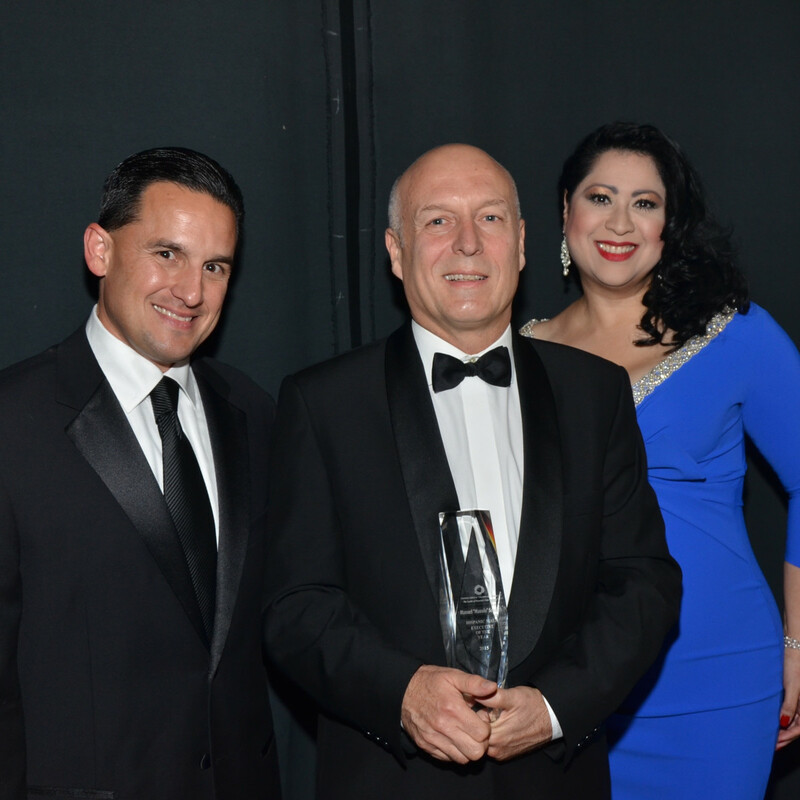 Awards recipients also included Robert Tijerina, president of Priority 1 Aviation, as Hispanic Male Entrepreneur of the Year; Yamile Jackson, CEO an founder of Nurtured by Design, as Hispanic Female Entrepreneur of the Year; and Boral Branders as Emerging Hispanic Business of the Year headed by marketing consultants Patricia Boral and Brenda Boral. 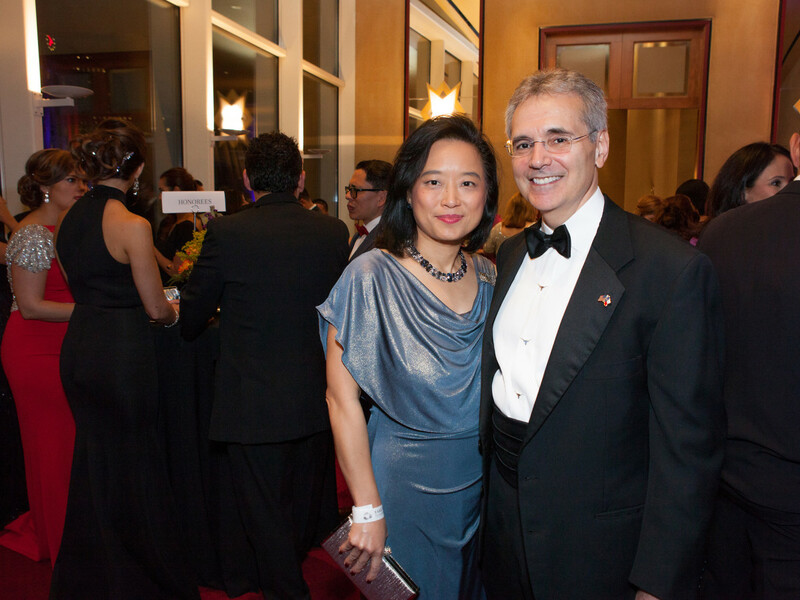 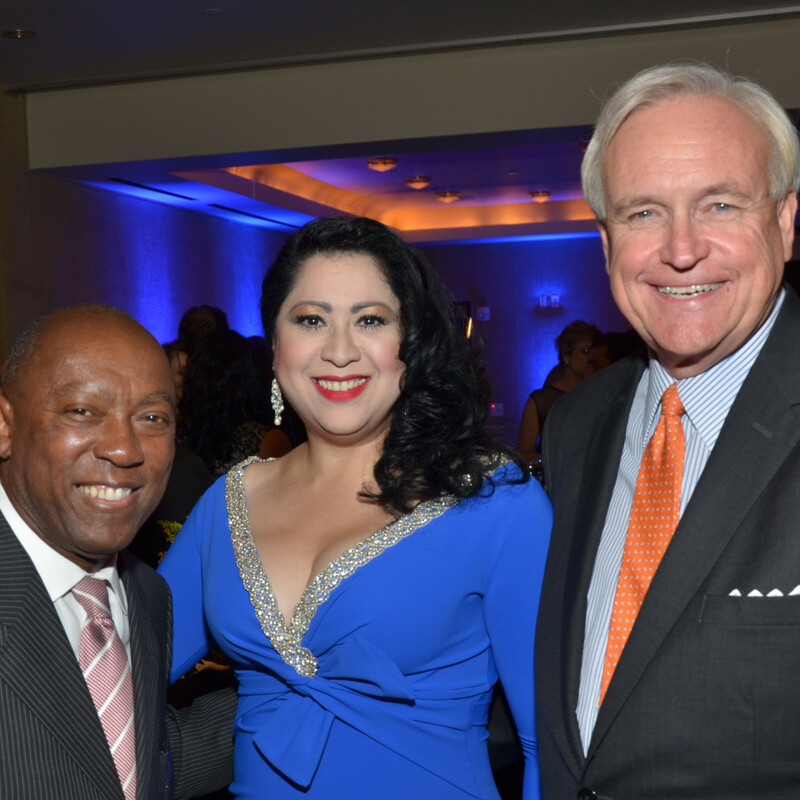 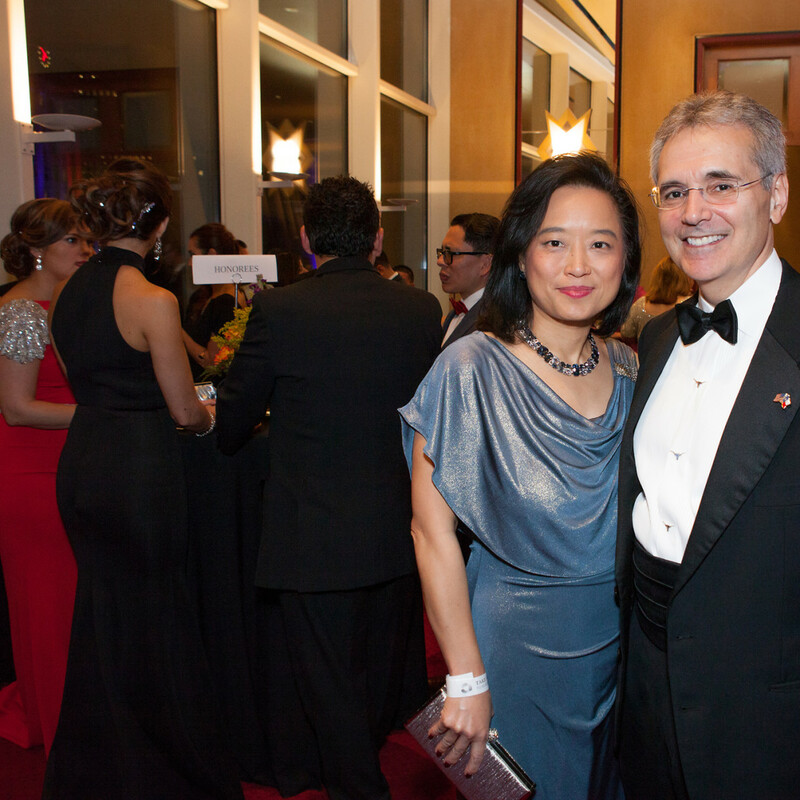 The black-tie evening, attended by more than 1,000, included presentation of the 2015 graduation class of the Emerging Leaders Institute of the Greater Houston Hispanic Chamber of Commerce Foundation.